Hey contemporist friends! We often see rooms that have air conditioning or heating units hanging on the wall, and they’re kind of bulky and ugly, so here’s two examples where designers hid them by including them in some custom shelving. 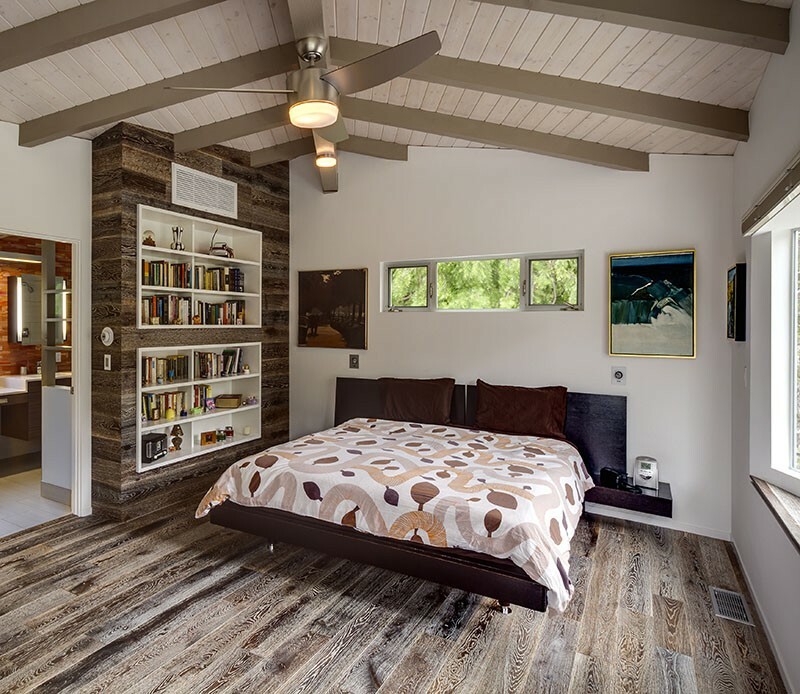 The first example is this bedroom in a home by Studio Twenty Seven Architecture, that has a shelf above the bed that contains a few decor items, but also hides the ugly A/C unit. The second example is this bookshelf in a bedroom from a home remodel, designed by Todd Conversano, that hides all the ducting for the return air register, by including it inside the built-in wall shelving.